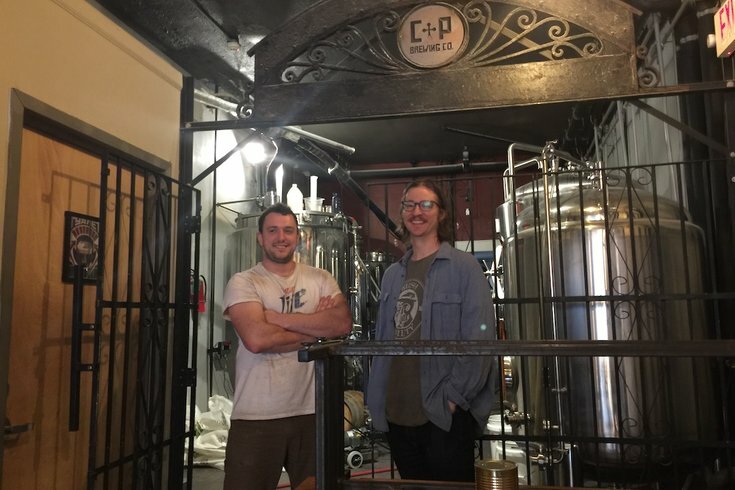 Mike Paul and Mike Wambolt, co-owners and brewers at Crime & Punishment Brewing Co., don't know what to expect on April 27, when the 'Furnace Party' is scheduled in their Brewerytown neighborhood. But they know they'll have a special Jalapeño Double IPA available for anybody who might come by their Girard Avenue brewpub. They know not what the future will bring to their little pocket of Brewerytown, but on Monday morning, the good folks at Crime & Punishment Brewing Co. took an anticipatory leap of faith anyway. 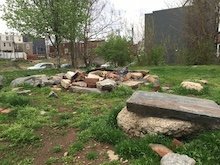 Just 12 days before the highly anticipated – and remarkably mysterious – “furnace party” comes (or doesn’t) to the empty lot catty-corner from their brewpub near 27th Street and Girard Avenue, brewers and co-owners Mike Paul and Mike Wambolt have begun brewing a special beer for the occasion. “Do Attend” is the working name for their Jalapeno Double IPA. That’s an homage to the final request made in the unusual flyer distributed in the neighborhood, by a yet-identified gentleman, in February as a way to connect with possible attendees. By the time the furnace party rolls around on Saturday, April 27, they hope to have seven barrels of Do Attend ready for party goers who leave the lot and come to their brewery. The special brew, which will have an expected seven percent alcohol by volume (ABV), will sell for $6 a pint, Wambolt said. And Crime & Punishment will donate 10 percent of the proceeds to Minds Matter Philadelphia. As Paul explained the process of brewing “Do Attend” – through mashing, extracting wort and fermenter cooling – he spoke about juicing between 50 to 100 pounds of jalapeno (and other) peppers in the final steps of preparation. Wambolt hearkened back to the time they brewed an IPA with Haitian fire peppers from a nearby community garden. That got so hot that many had to stop drinking pretty darn quickly. They’re on a mission to avoid that this time around. The special beer will only be available at the brewery since the owners didn’t seek permits to vend at a lot surrounded (mostly) by fences adorned with Private Property and No Trespassing signs. 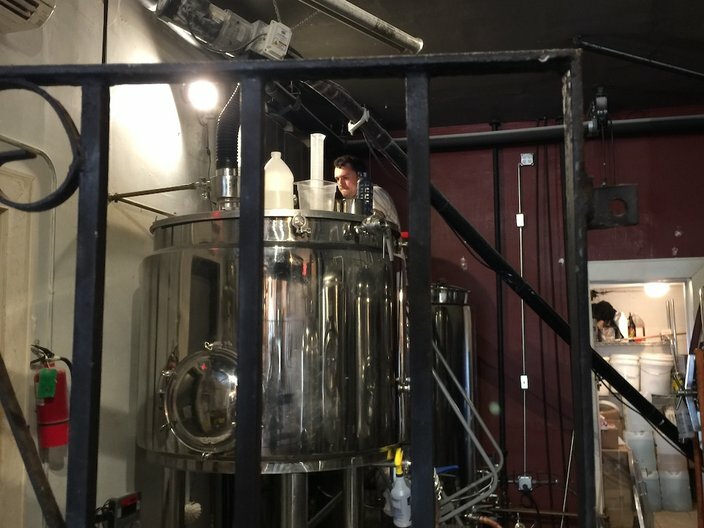 Mike Paul of Crime & Punishment Brewing Co. gets to work on the Jalapeño Double IPA that will be ready in time for the April 27 'Furnace Party' on a vacant lot across Girard Avenue from its location. “We had to do it in response to the letter because of our close proximity,” said Paul, noting that a flyer was not left at Crime & Punishment Brewery that fateful day. It’s that uncertainty of what’s to come that’s driving much of the interest. A fire pit on the 'Furnace Party' lot in Brewerytown. Wambolt noted that a fire pit already on the lot is frequently used by those in the neighborhoods on Friday nights recently. And a fresh batch of No Trespassing signs were posted after someone installed an ABBA sign on the property. The “Do Attend” brew won’t be ready for consumption until the Thursday or Friday before the Furnace Party, and won’t be served until that Saturday, when Crime & Punishment opens its doors at 11 a.m.